The largest revolving solar panel in the UK has been unveiled. 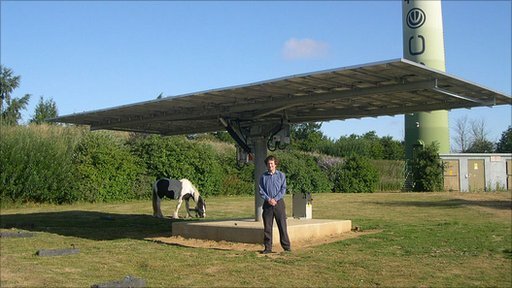 The structure at the Ecotech Centre in Norfolk follows the movement of the sun, creating more power than normal panels. Energy generated by the unit will power the Centre in Swaffham with any spare electricity going into the grid.